The Stretton Sugwas Draft Neighbourhood Development Plan has just been published for 6 weeks of formal public consultation from 14 September to 26 October 2015. 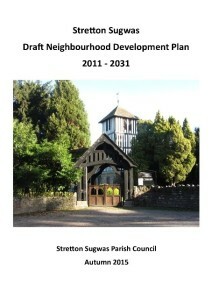 The Plan focuses on criteria based policies ti manage new development in this rural area to the west of the city of Hereford. To find out more about the plan, click here. To find out more about how Kirkwells can help you with your neighbourhood plan call Louise on 01282 872570 or email.